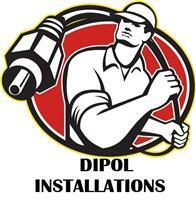 Dipol Installations Ltd - Alarms/Security, TV Aerials/Satellite Services based in Slough, Berkshire. Thank you for taking the time to look at my Checkatrade page, my name is Peter, I am a sole trader with 11 years’ experience in Commercial and Domestic installations. I offer a professional and friendly service and take great pride in my work. I offer a wide range of services listed below to my domestic and commercial customers. If you are interested in any of the services above or the service you require isn't listed, please do not hesitate please call or if you are just looking for professional advice.